And here is my detailed review of Kate Spring/Summer 2013 Collection after the event’s post from yesterday! I tried them on to create this look for a date with Jon on Saturday. KATE Brightening Makeup Base which doubles up as a highlighter. 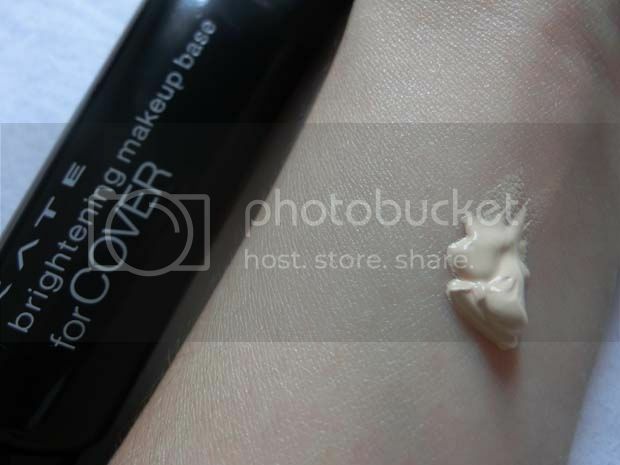 It reduces the visibility of pores and makes skin looks smoother, and illuminating it for a fresh, dewy look. Comes in only 1 shade, Light Beige. But it dissapears into skin quite well. My face feels matte after application and makeup goes on smoother. 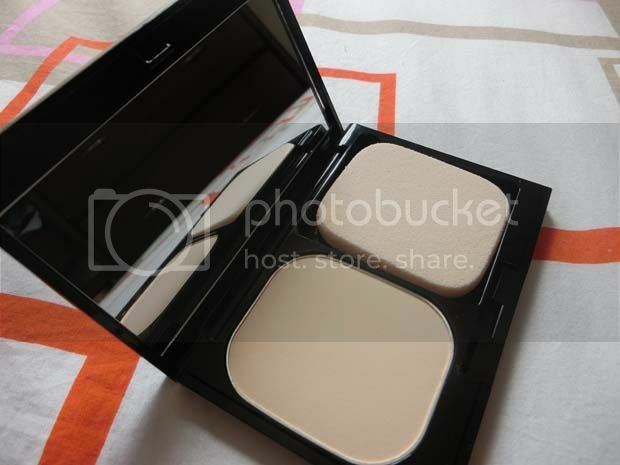 The powder foundation is packed with pure transparent powder. 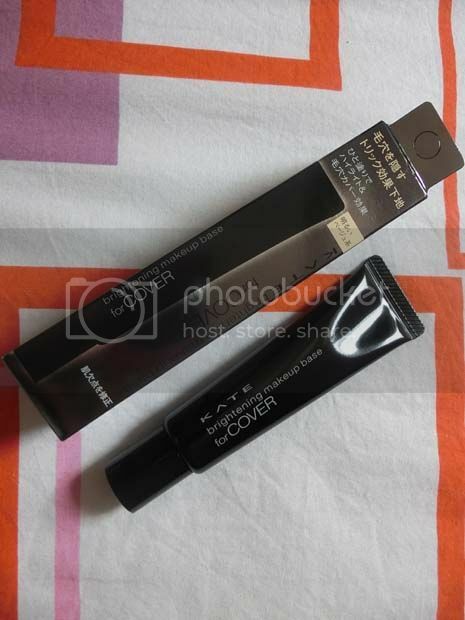 It reduces visibility of your pores for a smoother, flawless finish. I wore it out for the whole day and the powder didn’t become cakey on my skin. I like the fact that the powder is nice and fine! It lasted for at least half a day until I decided to do a quick touch up. Apparently, it has a a water-repellent coating makes the foundation last longer. But it’s ok, still very pretty! 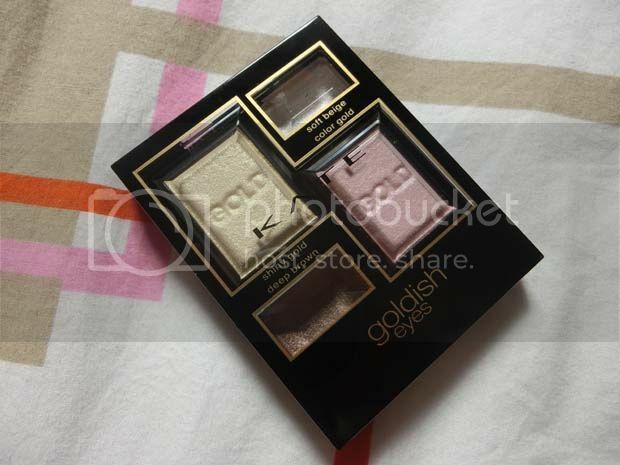 The packaging shows you a guide to where each colour goes to on your eyelids if you are not too sure. The gold and the shine is really very high impact! The colours doesn’t come out the in-your-face kind of strong and intense, but it gives a hint of colour with gold shimmers. Really pretty! The shimmer is gives is really gorgeous. I usually use liquid eyeliner, but it might be a little difficult to apply. 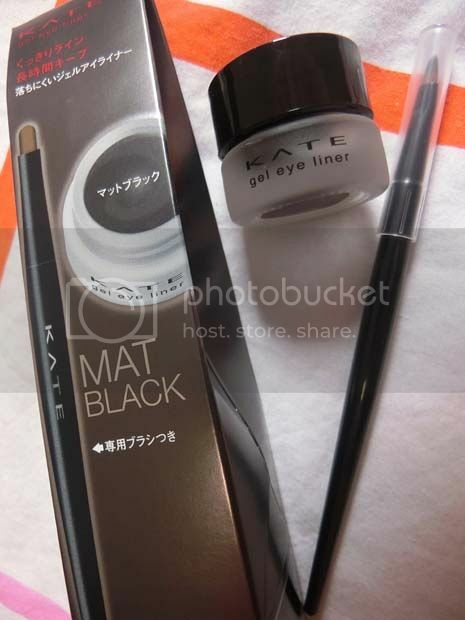 Gel eyeliner are the easiest to apply, especially for ladies who needs a little more control. The brush that comes with the gel liner is fine enough to create fine lines which makes application a breeze. It is very lasting. There is no smudge after a whole day of wearing it out shopping in town. The whole aegyo sal look is so hot now and here we have another makeup item to help create it. 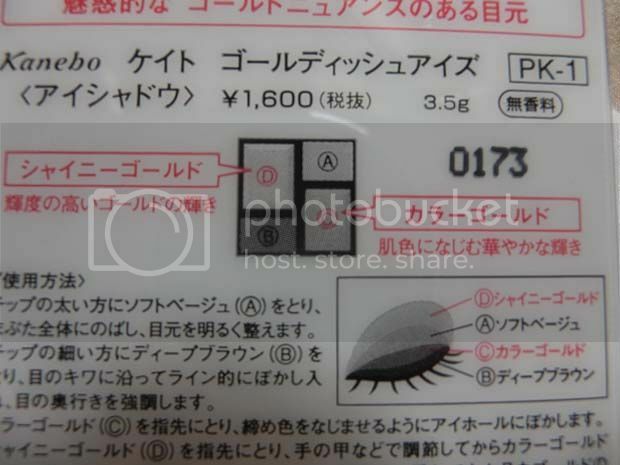 The packaging shows you where to apply this to create the aegyo sal, also known as the pupply eye look. 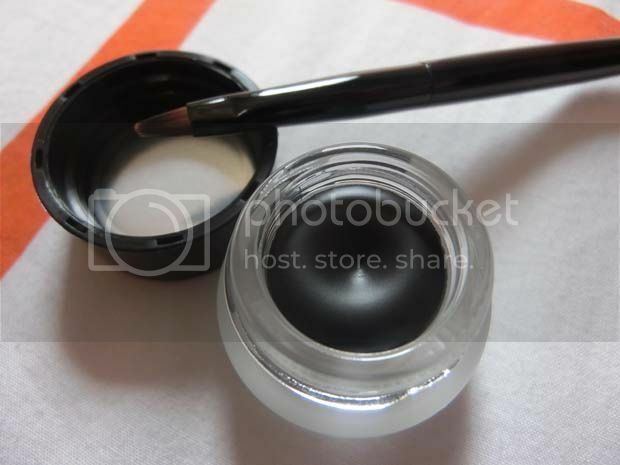 This shiny eyelid liner comes in a gel formula with a very fine brush for easy application. 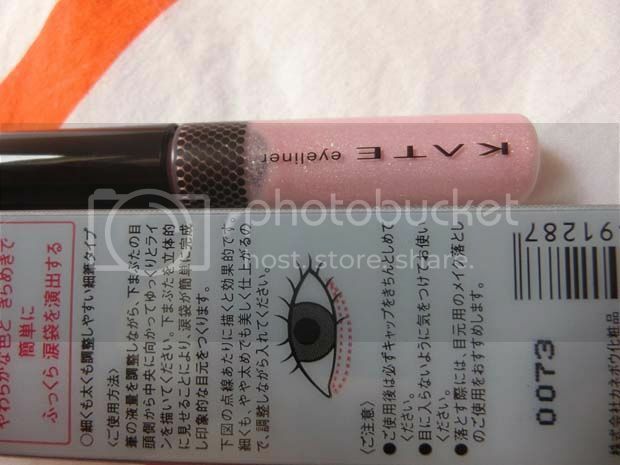 I would rather use this as a shimmer eyeliner at the bottom inner corner of the eyes instead actually. It didn’t come out very nicely for the creation of the aeygo sal. I love how it creates a teary eye look when applied on the lower inner eyelid instead. Opens up the eye too! 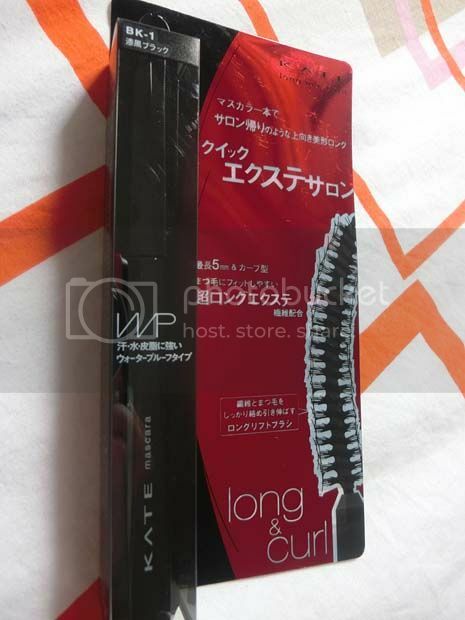 It is formulated with super long triangular extension 5mm-long fibers that adhere easily to lashes and a wax formula to maintain curl. 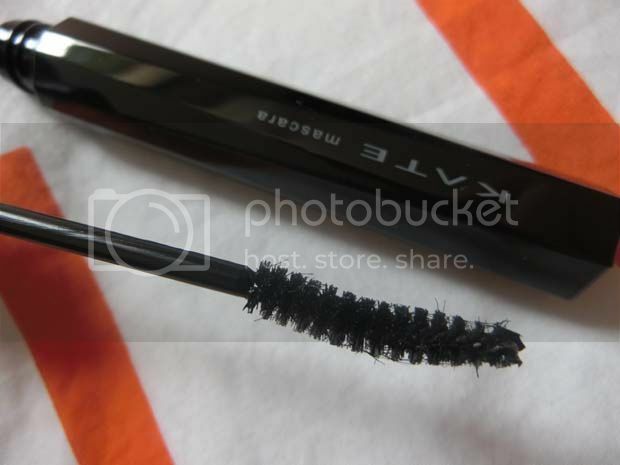 It has a unique lengthening and lifting brush that firmly catches lashes, mascara fluid and fibres. Can you see the little fibres on the brush? I curled my lashes and apply the mascara. 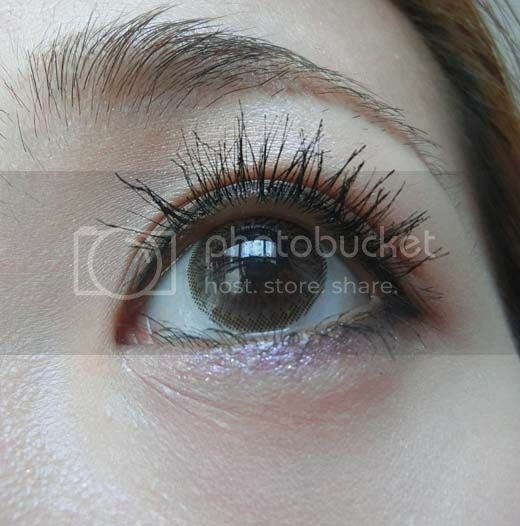 The little fibres will lengthen your lashes by attaching themselves to the lashes. I am quite amazed as this is the first time I am using a mascara with lengthening fibres. 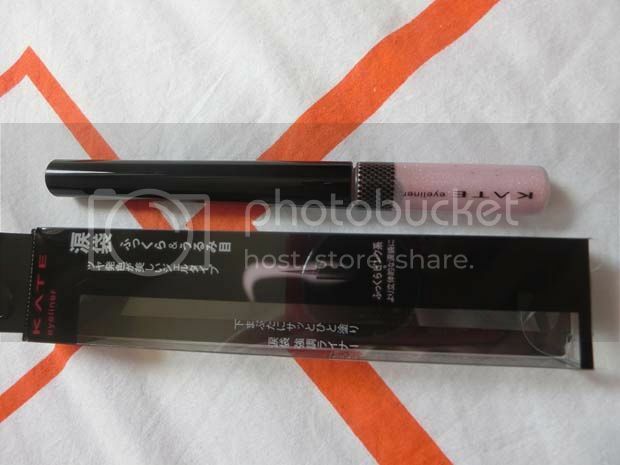 If you are looking to lengthen your lashes without wearing falsies, this is a good investment. However, one or two strands of fibres fell on my face later on in the evening. Not too much to worry about though! Complete the look by filling in your eyebrows, adding on some blusher and applying your favourite lip colour. Skipped my falsies today to try the mascara. Kinda like it! A more daytime natural look. KATE Spring/Summer 2013 Collection will be available from May 2013 at selected BHG, Guardian Pharmacy, OG, John Little, Metro, Nishino Pharmacy, Sasa Cosmetics and Watsons. Xie xie!! 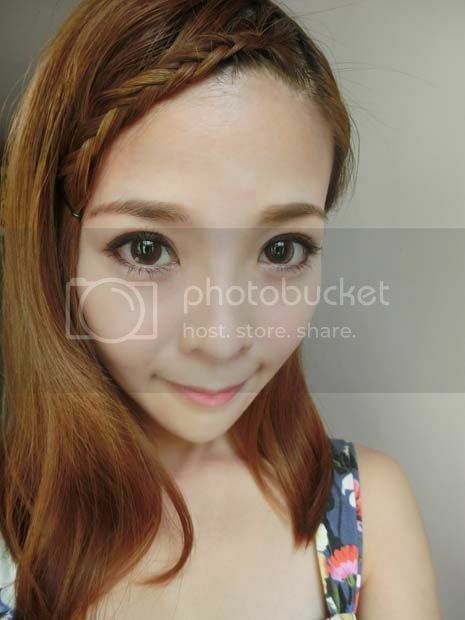 I reduced the size of my contact lens already, now using natural looking ones instead of the very big i.Fairy ones… Does it look more natural? ?